Focus Groups are built on the concept of providing opportunities to network with field leaders, exposure for your research program, and to become a vital part of your research community. 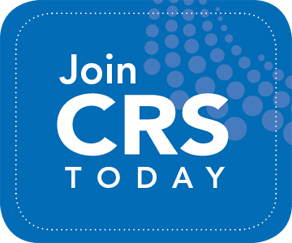 CRS Focus Groups are international in scope and include members from industry, academia, and government, interested to exchange knowledge and ideas. Focus Groups aim at delivering high quality science in specialist areas and will provide a tool for scientific interactions (electronic or face-to-face) in specialist topics. Each Focus Group is established on narrow, specialized subjects, in areas relevant to the CRS mission. If you are experiencing difficulty please email your name, ID and the focus group(s) you would like to join and we will be happy to assist you. Click here below to read an article regarding the CRS Focus Groups written by Dr. Steven Little. BBDD focuses on the bioinspired and biomimetic strategies for the design of advanced drug delivery systems. Bioinspired methods that involve construction of biological building blocks, or leveraging bio-interactions are being widely implemented to create various delivery formulations. Mimicking the physicochemical and physiological properties of natural particulates, ranging from pathogens to mammalian cells, facilitates controlled release of therapeutics. GDGE focuses on creating a better fundamental understanding of the barriers of gene delivery and editing, designing improved carriers, and realizing opportunities for therapeutic intervention. Relevant topics include nucleic acid-based approaches for generating therapeutic proteins (e.g. mRNA, pDNA), eliminating disease causing proteins (e.g. SiRNA, miRNA, ASOs), and precisely editing the genome (e.g. CRISPR/Cas, TALENs, ZFNs). ID focuses on new approaches in drug delivery to selectively target immune cells in peripheral tissues, diseased tissues, and at the primary sites of immunological reactions. NNDD focuses on integrative discussions in the field of nanomedicine and biomedical nanotechnology for the design of advanced drug delivery systems. OcDD focuses on studies that highlight the challenges and opportunities unique to the treatment of vision-threatening diseases. OrDD focuses on research for the formulation and manufacturing of small molecule and biologic drugs to maximize their oral bioavailability. TMD provides a forum for discussion in the field of transdermal and mucosal delivery, the challenges/barriers encountered, and novel strategies to overcome these obstacles to develop a successful therapeutic.